Administrative Law Judge, (ALJ), Wendy A. Weber, Office of Administrative Hearings (OAH), Special Education Division, State of California, heard this matter on November 2, 2006, at Los Angeles Unified School District, Los Angeles, California. Petitioner (Student) was represented by his parent (Parent). Spanish interpretive services for parent were provided by Manuel Gonzales. Respondent Los Angeles Unified School District (District) was represented by Devora Navera, Attorney at Law. Also present on behalf of the District during the hearing was Deborah Neal, due process specialist. On March 9, 2006, Petitioner filed a Due Process Hearing Request. A due process hearing was scheduled for May 3, 20006. On April 28, 2006, the matter was taken off calendar. After the hearing was held and evidence received on November 2, 2006, the parties requested closing briefs which were due by mail on November 22, 2006. Petitioner’s brief was timely received and marked for identification as exhibit P. Respondent’s brief was timely received and marked for identification as exhibit 15. After translation of Petitioner’s closing brief into English, the record was closed and the matter was submitted for decision on December 20, 2006. 1. Did the District assess Student in all areas of suspected disability for the 2005-2006 school year? C. failing to include all required participants, including the occupational therapist, at the August 18, 2005 IEP plan meeting? B. failing to identify specific recommendations as to how Student would access his general education curriculum? 4. Is Student entitled to compensatory educational services in math and written language? Petitioner contends the District failed to assess Student in occupational therapy, and that Parents were deprived of participation in the IEP process because the District failed to provide a state “certified” interpreter. Petitioner contends he was denied FAPE because he was not offered an ESY curriculum, was offered insufficient services in math and written language, and his IEP failed to specify how he would access the general education curriculum. The District contends it appropriately identified and assessed Student’s unique needs, offered services designed to meet those needs, and provided Student’s Parents’ opportunities to meaningfully participate in the IEPs. 1. Student, currently in 5th grade at Camellia Elementary School, is a 10-year-old male, eligible for special education services under the category of other health impaired (OHI),1 and at all relevant times, was a resident in the District. 2. In June 2005, Mother requested the District assess Student to determine if he was eligible for special education services. Before any action is taken with respect to the initial placement of an individual with exceptional needs, a school district is required to ensure a full and individual evaluation to determine if a child has a disability and the educational needs of the child. The student must be assessed2 in all areas related to his suspected disability, and no single procedure may be used as the sole criterion for determining whether the student has a disability or an appropriate educational program for the student. 3. On June 13, 2005, an initial psychological assessment was conducted by Dolores Sanchez, school psychologist, due to Mother’s concerns about Student’s low grades and no peer socializing. Ms. Sanchez reviewed Student’s educational history, conducted Student, parent and teacher interviews, observed Student, and administered tests in general ability/cognition, language/communication, academic achievement, processing and social/emotional. Results of the assessment indicated Student’s cognitive abilities, and his arithmetic and expressive/receptive language skills in English were in the average range. His academic testing scores were in the high average range for reading and spelling, and below average range in attention. With regard to behavior, Student was found to be in the clinically significant range for withdrawal, depression, anxiety, atypicality and attention. Student also exhibited heightened alertness to environmental stimuli and limited alertness to the educational environment, which Ms. Sanchez concluded may be due to characteristics consistent with attention deficit hyperactivity disorder, which adversely affected Student’s educational performance. 4. Based on her findings, Ms. Sanchez recommended referral for a school mental health evaluation; continued counseling by the school counselor; social skills group; instructions to be provided spoken, written, and demonstrated; positive reinforcement; pre-reading strategies prior to writing instructions; extra time to complete assignments; brief instructions; modify work load; and a share buddy. 1 Student’s eligibility for special education is not in dispute. 3 Occupational therapy (OT) is a special education service which addresses areas including fine and gross motor skills, self-help skills and activities of daily living (ADLs), sensory integration and sensory processing, or skills needed to function independently in the community. The most basic of the self-help skills include feeding, toileting and dressing. Adapted Physical Education (APE) is a special education service offered to provide physical education to students whose disabilities interfere with their participation in mainstream physical education classes. APE is generally defined as developmental games, sports or similar activities designed for students whose disabilities prevent safe or successful participation in regular physical education. The difference between OT and APE was explained to Mother at the initial assessment plan meeting, and Mother agreed that her concerns involved Student’s coordination and ability to participate in regular physical education classes. No evidence was presented Student required help to develop functional skills covered by OT. 4 ESY programming is special educational programming which extends instruction beyond the conventional school year to prevent serious regression over the summer months. (Hoeft v. Tucson Unified School Dist . (9th Cir. 1992) 967 F.2d 1298, 1301.) A student may qualify for ESY if, due to the student’s disability, he is well below grade level, and the IEP team believes the student cannot retain information learned during the regular school year over the summer months. 5 Although the District is also required to provide a program in the LRE, LRE is not in dispute. 6 In fact, once requested by Mother, an OT assessment was conducted on January 17, 2006, which revealed no areas of need for OT. 7 Without parental consent, the District may not provide special education services. 6. On July 19, 2005, a speech/language assessment was conducted by Beatrice Alexander. Results of tests and data collected showed Student did not qualify for speech/language services. 7. On July 28, 2005, Claudia Jones, Resource Specialist Teacher (RST), performed an Itinerant Resource Specialist Assessment (IRSA) due to academic concerns. Standardized test results, interviews and classroom observations showed Student was functioning within the average to high average range in all academic areas, with reading being an area of strength. These results were inconsistent with classroom teacher reports, report card grades, work samples and curriculum-based assessments, which indicated Student was not performing on a level commensurate with his age and grade level peers, especially in the areas of math and written language. Ms. Jones referred Student to the IEP team for consensus and determination of eligibility and services. 8. An initial IEP meeting was conducted on August 18, 2005, to discuss the results of the assessments and to determine if Student was eligible for special education programs and services. Participants included Mother; Ms. Rodas, as District’s administrative representative to the IEP; Barbara Rainen, special education teacher/resource specialist; Elizabeth Thomen, general education teacher; Hadassa May, school psychologist; Amor Macalutas, school nurse; Beatrice Alexander, language and speech therapist; Nina Metichecchia, Least Restrictive Environment (LRE) specialist; and Hortencia Hernandez, Spanish interpreter. 9. At the initial IEP meeting, Ms. May presented the results of the psychoeducational assessment in the areas of cognitive ability, processing, language and behavior. Ms. Rodas and Ms. Thomen reported on Student’s motor abilities relating to physical education based on their observations of Student which showed Student below age/grade level in several areas. English language development (ELD) was discussed based on observations, ELD standards and assessment of Student’s work. Results of the language and speech assessment were presented by Language and Speech (LAS) therapist, Ms. Alexander. Reading, math and written language were discussed using the results of the IRSA report presented by Ms. Raimen. Social behavior and work habits were discussed using the results of the Initial Psychological Exam and observations presented by Ms. May. Health and Development, including vision and hearing, was discussed using the health assessment report presented by Nurse Macalutas. The APE assessor was not present, but available by telephone, and Ms. Rodas presented the APE assessor’s report. 10. The IEP meeting lasted over two hours, during which time Ms. Hernandez translated the discussions from English to Spanish for Mother. Ms. Hernandez is a District-trained interpreter who underwent official training at the District as a designated IEP interpreter. Mother presented no evidence she did not understand the discussions at the IEP meeting. At the conclusion of the IEP meeting, Mother raised no concerns, but requested to take the IEP home to discuss it with a friend. Mother was provided copies of the RST’s report, and assessments in LAS, health, APE, and psychoeducation. 11. Instead of signing the August 18, 2005 IEP, Mother requested an assessment be conducted by an occupational therapist, which was done on January 17, 2006. Cheryl Cuesta, occupational therapist, concluded Student did not need occupational therapy (OT) services in order to access his educational environment. Student showed adequate muscle tone, strength and range of motion, postural stability and sitting balance, visual perceptual skills, fine motor skills, visual motor skills, and sensory processing and praxis. 12. Results of the OT assessment were presented at an amendment IEP meeting on January 19, 2006. In attendance were Mother, Ms. Rodas, Kimberly Sinclair, special education teacher, Ms. Cuesta, occupational therapist, and Karen Leon, Spanish interpreter. The IEP specifically provided that all goals and objectives remained as written in the August 18, 2005 IEP, and that Mother was given a copy of the OT assessment report. Mother disagreed with the instructional setting and services, as she desired a “traditional school setting” and more RSP time. Mother again requested to take the IEP home. 13. Mother was provided copies of the IEPs and information about parent rights and procedural safeguards at both IEP meetings. Mother was given ample opportunity to ask questions and to voice any concerns about not understanding any of the process, and any misunderstanding could have been raised by her and addressed appropriately during the meetings. Mother offered no specifics as to what she did not understand at the meetings, nor did she provide any credible explanation as to how she was prevented from participating in the meetings. To date, Mother has not signed either the August 18, 2005 or January 19, 2006 IEPs. As a result, Student has received no special education services. 14. Ms. Rodas testified credibly regarding her involvement with the development of Student’s IEP. She holds a B.A. in communications and an M.A. in special education, and has 20 years of experience in special education as a teacher, program specialist, advisor for special education professional development, administrator, and assistant principal. Ms. Rodas verified all assessments agreed to by Mother were timely completed and copies provided, and that Mother was provided translators and opportunities to discuss any questions or concerns regarding Student’s eligibility and proposed plan at the assessment plan and IEP meetings. 15. In determining Student’s eligibility and offer of a FAPE at the August 18, 2005 IEP meeting, the IEP team considered Student’s present levels of performance in cognitive ability, processing, language, behavior, motor abilities, ELD, LAS, reading, math, written language, social behavior and work habits, and health and development. Student’s scores indicated he was able to complete grade level work, but he was not performing at that level in the classroom due to attention problems. In the academic areas of reading, math and written language, Student tested average to above average range of ability. As a result of the assessments, Student was found eligible for special education programs and services under the category of OHI. Based on these assessments, Student’s unique educational needs were identified in the areas of math, motor abilities, social/emotional and behavior, with difficulties in attention. 16. A program was designed to meet Student’s unique needs in math and written language, motor abilities, vocational, behavioral support, ELD, and attention deficits. Annual goals and short-term objectives were written in motor abilities, math, written language, vocational, behavior support, and ELD. Goals and objectives were to be evaluated using the District general education curriculum and classroom observations by special and general education teachers. 17. Based on the assessments and observations, the IEP team determined Student’s LRE was the general education class with RSP and APE. Student’s IEP provided specific recommendations as to how he would access his general education curriculum. Student’s needs in math and written language were addressed by providing RSP services through a blended service model, which consisted of co-teaching by the general education teacher and the RSP teacher in the general education classroom and/or intensive small group instruction one to five days per week for a total of 60 minutes per week. Numerous accommodations were offered to assist Student with his attention deficit difficulties in order to progress in the general education environment. These included constant reminders, redirection, eye contact when giving instructions, checking for understanding, a graphic organizer, shortened assignments, and preferential seating. The RSP teacher and the Special Education paraprofessional were to assist the general education teacher in the use of supplementary instructional materials and teaching strategies. 18. To address Student’s needs in physical education, APE services were offered for 60 minutes weekly. A behavior support plan was also formulated to address Student’s off task behavior and attention issues, which identified changes; structure; and supports needed to keep Student on task, such as preferred seating, breaks, completion of tasks in parts, notebook organizer, high interest materials, cues, use of praise, and peer models. The undisputed testimony of Ms. Rodas established Student would receive educational benefit from the program and services offered, as Student could access his general education curriculum with RSP services, supports and accommodations. 19. Since Camellia Elementary is a year-round school, an ESY program was not available for Student.4 In a year-round school, students may be eligible for an off-track inter-session program, which consists of 30 hours, four hours a day, in a specific area of academic need. An inter-session program was not appropriate for Student because he did not present as one who would forget what he had previously learned when off-track and his abilities average to above-average. Mother also declined an inter-session program. 20. The evidence presented at hearing by Petitioner fell short of establishing the requisite proof on any issue raised in the Due Process Request. Mother’s credibility was negatively impacted by documents which contradicted her testimony. She offered no explanation as to why she failed to inform the District during the meetings that she did not understand her rights, the assessments, individual IEPs, or the programs and services offered. Most importantly, however, Mother completely failed to articulate how she was deprived of an opportunity to participate in the IEP process. Issue 1: Did the District appropriately assess Student in all areas of suspected disability for the 2005-2006 school year? Issue 2: Did the District comply with the procedures set forth in the IDEIA? 14. Mother contends she was deprived of the opportunity to participate in the development of the IEP because the District failed to have a state “certified” interpreter in Spanish at the meetings. There is no requirement under federal or state law that a state “certified” interpreter is required. Based on Factual Findings 7, 9, 11 through 13 and 16 and Legal Conclusions 5 through 8, the District met its obligation to ensure Mother understood the proceedings. In addition to providing a trained Spanish/English interpreter at the assessment plan and IEP meetings, the assessment plan was provided in Spanish, and several District assessors also explained concepts and procedures to Mother in Spanish. 15. Based on Factual Findings 9 through 11, 13 and 16 and Legal Conclusions 5 through 8, Mother’s claim the District failed to provide copies of the LAS, OT and psychoeducational assessment reports at the August 18, 2005 and January 19, 2006 IEP meetings also fails. 16. Based on Factual Findings 4, 7, 8 and Legal Conclusions 5, 6, 8, Petitioner’s contention the District failed to have all required participants, including the OT, present at the August 18, 2005 IEP meeting, also fails. Mother requested an APE assessment, not an OT assessment, prior to the August 18, 2006 IEP meeting. Since an occupational therapist had not conducted an assessment by the time of that meeting, one was not required to be present. An APE assessment was conducted by Ms. Rodas and Ms. Thomen, both of whom were present at the meeting, where they discussed the results of their assessment. All other required persons were present at the August 18, 2005 IEP meeting. 17. Based on Factual Finding 11 and Legal Conclusions 5, 6 and 10, Petitioner’s contention the District failed to identify Student’s present levels and review his annual goals at the January 18, 2006 IEP meeting is not supported by the evidence. The January 18, 2006 IEP meeting was held solely to discuss the results of the OT assessment. The January 18, 2006 IEP clearly states the annual goals established at the August 18, 2005 IEP meeting remained the operative goals, and the results of the OT assessment required no additional goals. Issue 3: Did the District deny Student a free appropriate public education for the 2005-2006 school year? 18. Based on Factual Findings 14, 15 and Legal Conclusions 2 through 4, 10, the District offered Student a FAPE for the 2005-2006 school year. 19. Based on Factual Finding 14 and Legal Conclusions 3 and 4, Petitioner’s contention that a failure to provide ESY services to Student resulted in a denial of FAPE fails. ESY services were not available to Student, who was in a year-round program. Further, no evidence was submitted by any educational expert that Student required an intersession program. (34 C.F.R. §300.309(a)(1); Ed. Code, §56345, subd. (B)(3).) The program was designed to allow Student achieve educational progress in his placement at the District, and the District met its responsibilities to provide special education and related services that were reasonably calculated to enable Student to receive educational benefit. Issue 4: Is Student entitled to compensatory educational services in math and written language? 22. Based on Factual Findings 14, 15 and Legal Conclusions, 2 through 4 and 11, Petitioner is not entitled to compensatory educational services. 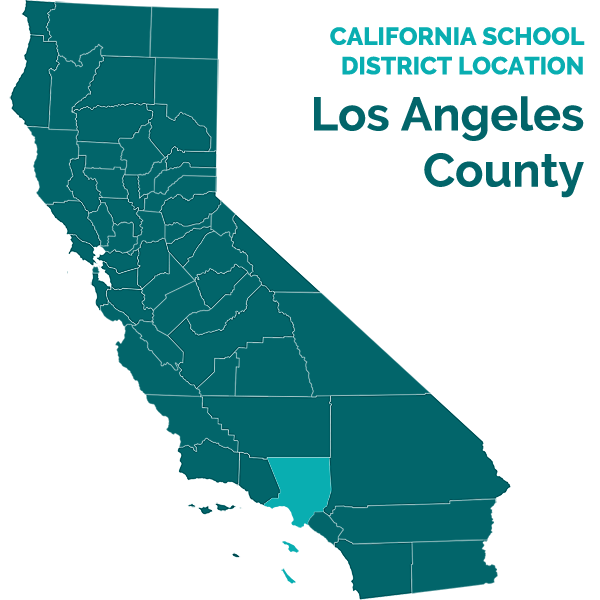 The request of Petitioner for relief from Respondent Los Angeles Unified School District is denied. Pursuant to Education Code section 56507, subdivision (d), Respondent Los Angeles Unified School District prevailed on each and every issue heard and decided in this matter.